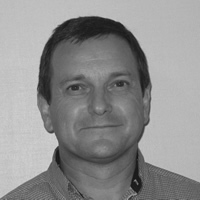 Michael Lloyd is Director for EHS & Sustainability for Huber Engineered Woods. He has worked in Europe and the US and had Global responsibilities in previous roles. He earned his Bachelor's Degree in Great Britain and a Master's Degree in the US. In his current role Mike is defining the organizations roadmap to World Class EHS & S Performance that includes Sustainability Strategy, Environmental footprint reduction and a World Class Safety Culture.